If you’re wondering how to resist temptation, look no further than prayer. Turning to God every morning is a good way to consistently fight back against potential temptations. Start each morning by thanking God for the day ahead, by asking for his guidance and by seeking strength. Perhaps there are specific issues or temptations you want to mention to God before each day kicks into gear. Proactively seeking His strength to help guide you through the difficulties you’re prone to is a wonderful way to prepare yourself both mentally and spiritually for what’s to come. The Bible tells us that we can do anything through the strength of God — and this includes resisting temptation. The Bible is filled with stories of imperfect human beings who have been tested and tempted — and who have sometimes failed in their quest to avoid sin. In fact, the Bible opens with one of history’s most famous stories about the failure to resist temptation. Consider the scene in the Garden of Eden. As you’ll recall, Adam and Eve were clearly instructed by God not to eat from a specific tree in the garden. The end result for Adam and Eve was punishment; they were expelled from the garden and their actions, which resulted from the failure to fight temptation, introduced sin into the world. Studying Bible verses about temptation can help us avoid similar mistakes. Reading topical Bible verses about temptation is also helpful. In addition to stories, there are specific points of advice in the Bible about the importance of resisting temptation. Two verses, in particular, are particularly helpful to people looking for insight and tips on living the Christian life. First, Hebrews 4:15 gives a blueprint on how to resist temptation by encouraging believers to turn to Jesus’ example — and to remember that Christ, too, suffered temptations, but never sinned. This seems to indicate that temptation itself isn’t sinful, but that acting on it can be. The verse reads, “For we do not have a high priest who is unable to empathize with our weaknesses, but we have one who has been tempted in every way, just as we are—yet he did not sin” (NIV). The Scripture tells us that relying on Jesus can help us resist temptation, as we have an example to turn to: a savior who knows our plight, yet remained sinless. There are plenty of other Bible verses about temptation. Another important one is 1 Corinthians 10:13, which proclaims that God won’t let people be tempted beyond what they can handle. The text reads: "No temptation has overtaken you except what is common to mankind. And God is faithful; he will not let you be tempted beyond what you can bear. But when you are tempted, he will also provide a way out so that you can endure it” (NIV). So, God not only helps us resist temptation, but he also provides a way out of acting on it. 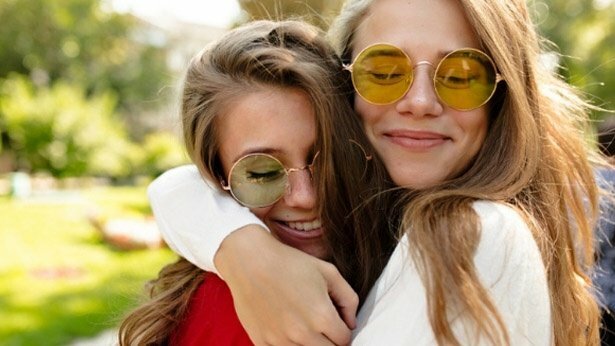 Though it can sometimes be difficult or feel embarrassing, one way to fight temptation is to confide in other people who have faced similar struggles. The Christian life is about forming relationships and community. Why not turn to friends and peers at church to ask how to fight certain temptations? This is a simple step that can help provide tools, strategies and a listening ear. Resisting temptation isn’t easy, but as the Bible verses about temptation tell us: Through God anything is possible. Considering that the Lord has granted us relationships, being honest and open and seeking to conquer your personal challenges is key. Take a moment to speak to someone else about how you can resist temptation. God gives us the tools to resist temptation, but it’s also up to us to take preventative steps to try and avoid sin. If you know there are certain events, places and circumstances that are more likely to cause you to fail, be intentional about avoiding these scenarios. Taking preventative steps makes it much easier to resist temptation if and when it creeps up. It’s all about being intentional. This might require prayer, discernment and deep introspection to try and pinpoint the triggers that can lead to sin. Take the time to engage in these actions if you’re truly interested in resisting temptation. In addition to prayer in the morning and regularly reading Bible verses about temptation, it’s important to keep a focus on the Almighty throughout the day. Turning to prayer multiple times a day can help you resist temptation. Consider setting up regular prayer times or simply work on being conscious of the need to turn to God if and when challenging moments unfold. Either way, consistently asking God for help and guidance is a sure-fire way of resisting temptation. Human beings are prone to sin, and none of us are perfect. If and when you are tempted and sin, be sure to seek forgiveness with a genuine heart. This means working diligently to reflect on Bible verses about temptation, while also considering how to resist temptation moving forward. Seeking forgiveness is important, as it returns the focus to God — the source of strength that can help you overcome temptation moving forward. The need for a Savior and for forgiveness is evident. Rather than beating yourself up if and when you fail, turn to God and ask him to help heal you and to give you the strength to avoid sin in the future. 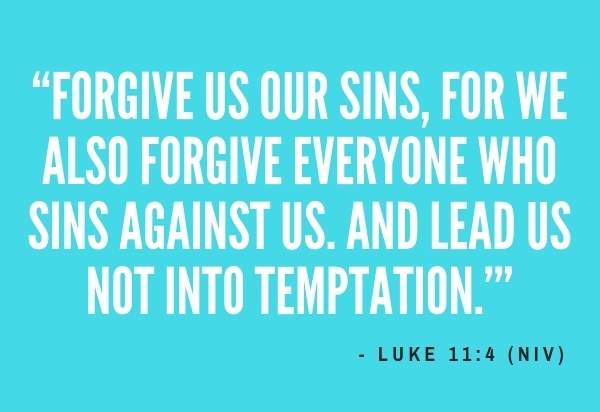 Consider reflecting on Bible verses about temptation at the end of each day. From writing important verses on notecards to committing Scriptures to memory there are a variety of steps you can take to keep God’s word at the forefront of your heart and mind. With many Bible verses focusing on God’s power in our lives — Scriptures that encourage us — there is a rich set of material to choose from. Focus on gathering these verses and turning to them each and every night. If you mix the aforementioned prayer in during and throughout each day you’ll be set on course toward successfully resisting temptation in your life. Christian films, movies and TV shows offer yet another way you can learn the importance of resisting temptation. PureFlix.com has thousands of films, TV shows and original series that focus on the importance of building one’s faith in the Almighty. Here’s a list of 12 famous Christians who surely faced temptation in their lives and who persevered. Some of these individuals were likely tempted to give up their ministries, but forged on — with many even sacrificing their lives in the process. One of the most interesting ways to fight temptation is to keep a journal that documents your ups and downs as well as your prayers to the Almighty. These prayer journals should be open, raw and honest, reflecting on Bible verses about temptation and encouragement. For those wondering how to fight temptation, a journal can be a long-term solution. Not only does a journal help put your thoughts, emotions and dreams on paper, but it gives you the ability to document and see, over time, what God is doing in your life. From overcoming temptation and struggles to seeing God’s plan play out, a journal offers an important lens into your life — one that can help build up and transform your faith. These are just 10 ways to resist temptation. We hope you’ll integrate these tips into your own faith journey.